After Portugal, we headed up to Dusseldorf, Germany. Lisbon was a lovely end to our Camino, but Germany was when we really started to feel like we’d officially finished that first chapter in our travels—-probably because that flight out of Santiago had been planned as our end-date from the get-go. We’ve spent a fair amount of time in Germany before this trip, and it was high on our list to revisit. 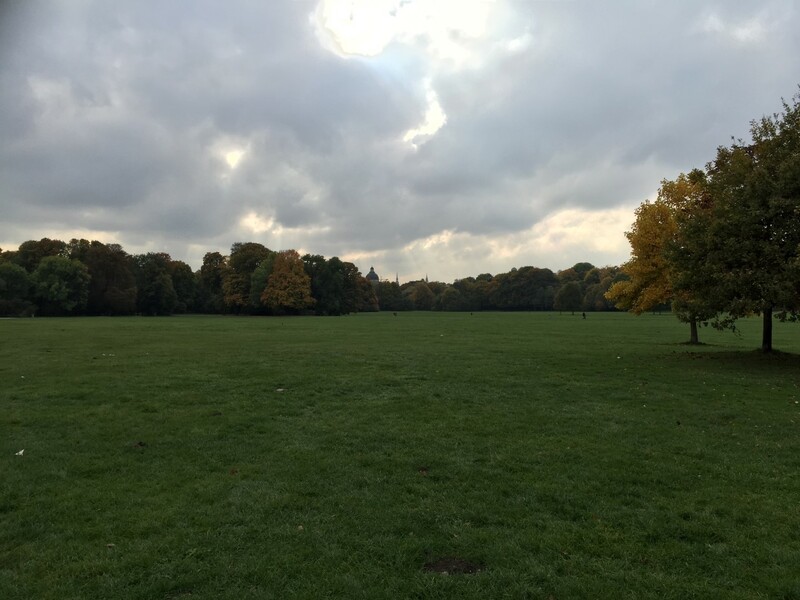 Englischer Garten, a giant, sprawling park in the middle of Munich, is one of our favorite places in the world. There’s a lot to love about Germany. The architecture is beautiful, the cities are full of gardens and parks, and it has this cool old-world feeling that is hard to describe. But really, the best part of our time in Germany had to be the people we met along the way. Over and over again, we were overwhelmed with the kindness we received while we made our way around the country. In Dusseldorf, we were met at the airport by Jean, a wonderful Irish lady who knows Joe through the Mr. Money Mustache forums. She took us to her home and immediately made sure we were comfortable for our stay in the city. We spent a couple of days relaxing at her apartment, eating pastries (so many good bakeries! ), and seeing a bit of the city, which seemed extra pretty because of the fall colors everywhere and the first signs of Christmas brightening the stores, despite the fact that it was October. We even went to get traditional German food with her at a pub, meeting up with some of her hilarious friends (one of whom thought we should name our unborn baby girl after him, Thomas). If you ever get the chance to go drinking with some Germans, take it. Even if you don’t drink. After that, we headed to Bochum, a small town near Dusseldorf where Joe was participating in a card gaming tournament. Getting to Bochum would have involved figuring out trains or buses and paying a decent chunk of cash, but instead one of the guys going to the tournament from Belgium, Cedrik, picked us up on his way and drove us. Another, Angelo, let us sleep on his couch for the weekend. When it was all over, a third, David, drove us all the way down to Munich. It was several hours out of his way driving back to Milan, Italy (spoiler alert: that’ll come up again later, in a few months.) Remember how I said people are great? But it didn’t stop there. In Munich, we spent a few days crashing on the couch of another couple from the MMM forums, Chris and Leoni, which gave us a home base while we explored the city and visited places like the Englischer Garten. People actually seriously dress like this! It’s not Halloween, or a play, or anything! 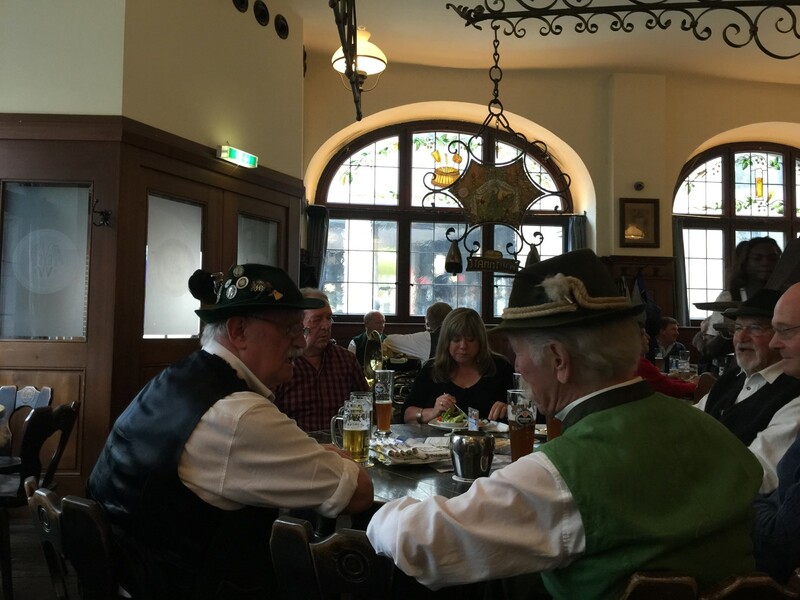 Then we met Christiane from the forums as well, who showed us around town and took us to an authentic Bavarian restaurant, where actual Germans were hanging out dressed in their traditional Bavarian outfits (picture your best Sunday clothes, but with more lederhosen). Everywhere we went, people bent over backwards to help us. Even strangers in pastry shops were happy to translate for us when they realized our German language skills were practically nonexistent. We were treated as honored guests at meals with people we hardly knew and were constantly left with the feeling that everyone truly wished the best for us on our travels. It’s safe to say, we love Germany. The pastries are delicious, the cities are beautiful, and they have a deep love of Christmas that I totally get. But mostly, we love the people we met there. Every experience we’ve had in Germany seems to involve someone helping us for no other reason but to be nice, and a bit more of that in the world would do us all some good.